There are two types of service offerings we probably all encounter daily. Consumer on-demand services offered across the planet help us summon entertainment, food, transportation and much more from an application on a smartphone. The most successful of these applications follows a structured workflow – we make a request, the application reports progress along the way and then our request is completed. In 2016, these on-demand services have seen explosive growth and often deliver an exceptional user experience and high consumer satisfaction. The second types of service offerings that we use are the business services needed to get our work done on a daily basis. Most companies implement business services that use unstructured and antiquated methods to get work done. Many of these applications have been around for over two decades and have not changed significantly. Almost out of habit, we use unstructured workflows at work all the time – such sending a work request in an email to a colleague and waiting for a response that may come in minutes, days, weeks or not at all. In fact, eighty percent of all companies still use email, spreadsheets, presentations and in-person meetings to implement processes and deliver services to their employees and customers. The result is that in 2016 our work is unstructured, unpredictable, consumes variable amounts of time, not tracked and produces mixed levels of results to our company and customers. Now, imagine if we brought the 2016 experience to our work and the delivery of business services was similar to consumer on-demand services. Requests for information needed to do your job would be structured, tracked and completed. Service requests from peers and customers would follow a similar process and not get lost in an email inbox, buried in a presentation or forgotten after an in-person meeting. The use of service automation and structured workflows would make it easier for you to do your job and enhance experiences for your customers. While it is not possible to do every work task in a structured way, the efficiency of your company and your work is directly proportional to the amount of work that can follow a service automation framework. 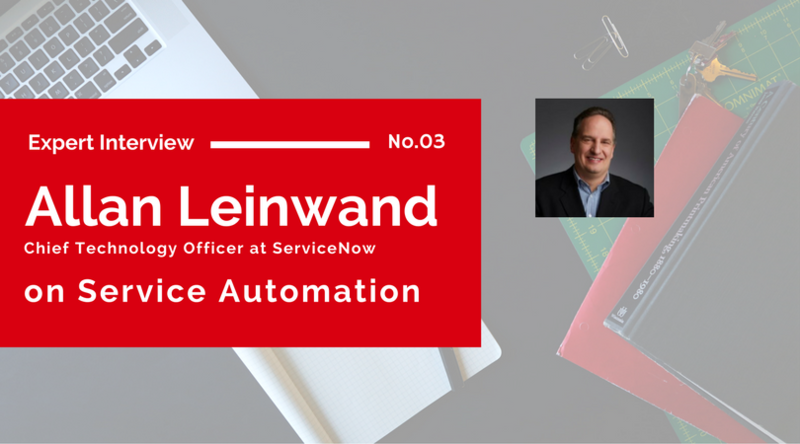 The real challenge for many organizations is finding the work that can follow structured workflows and then automating this work with the proper technology (such as Enterprise Service Management from ServiceNow). The Service Automation Framework book can help you and your organization define and implement an automated service automation framework. It provides a roadmap that leads you to building structured workflows and automation that leads to a more efficient business and, almost certainly, happier customers. Good luck and enjoy the road to your service automation framework. Chief Technology Officer, ServiceNow, Inc.